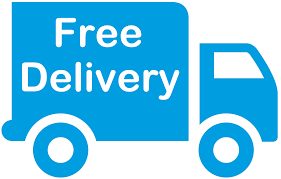 We deliver FREE on goods valued at £250 or above within a fifteen mile radius of our location, e.g. Magherafelt, Maghera, Draperstown, Bellaghy, Kilrea, Cookstown, Ardboe, Ballymena, Portglenone, Toomebridge, Randalstown. Please contact our office on 028 7946 5919 for any other possible delivery charge queries. Delivery lead times depend on the instructions of each manufacturer. Our Bettina sliding wardrobes are normally delivered and assembled within one working week. Mattresses are normally 2–4 weeks depending on which brand you would like to purchase. Weimann wardrobe systems are normally delivered in 4-6 weeks from date of order. We deliver Monday – Friday 8.30am – 4.00pm or at another time to suit our customer. Can I pay for the goods after they are delivered? Unfortunately No. Customer orders must be paid for before we can arrange a delivery. All goods remain the property of Bedrooms & Beds until paid in full.